The Election Commission likely to announce Gujarat Assembly Elections 2017 Date on October 24, 2017. 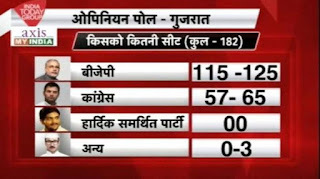 Gujarat election result will be scheduled on December 18, 2017. As per source, the election will be held on December First and Second Week. The Election Commission (EC) is likely to announce the dates for Gujarat Assembly Elections 2017 by this week, media reports said. 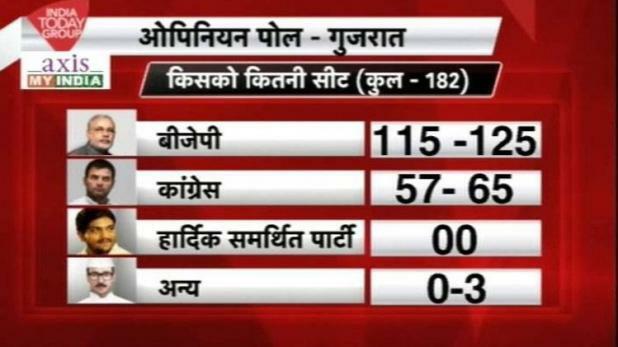 The term of the 182-member Gujarat Assembly gets over on 23 January next year. Go to official website at ceo.gujarat.gov.in. Find out Election tab and click on Election Results. Search for Gujarat Election 2017 Result. Possession of EPIC is not a guarantee of franchise. For being able to cast your vote, it is mandatory that you be registered in the Electoral roll. To check if your name is in the Electoral Roll, you may search on this website or call out Helpline number 1950 or send SMS epic < space > < your voter ID Number > to 8511199899. 0 Response to "Gujarat Election 2017 Date | Gujarat election result | Opinion poll"